Repels and kills stable, horse, face, deer, house and horn flies, plus mosquitoes, gnats, ticks, fleas, chiggers and lice. ?This non-oily insecticide repellent may be applied with a trigger spray applicator, or as a wipe. Citronella scent. 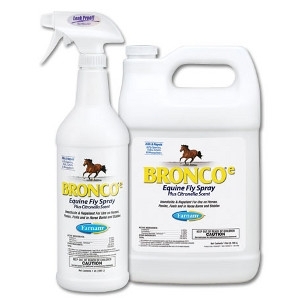 Insecticide and repellent for use on horses, ponies, foals and in horse barns and stables.